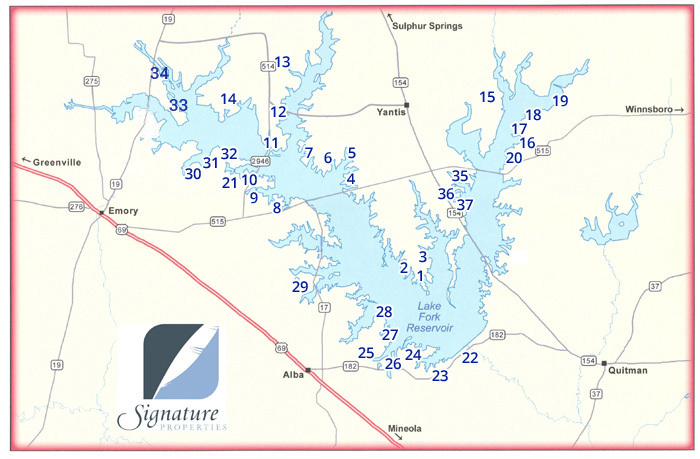 Click on a number above or a link below for all properties listed in a particular subdivision. 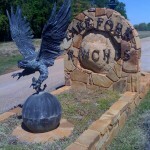 Restricted subdivision made up of several sub-communities (Star Ranch, Bluff Ranch, Lone Oak Ranch, Longhorn Ranch) consisting of Lake Fork waterfront lots, private pond waterfront lots, and interior lots. 2500 SF minimums and underground utilities. Lot characteristics range from mostly pasture to heavily wooded. 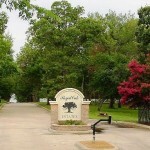 Beautiful gated community on Lake Fork with both waterfront and interior lots. 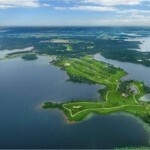 This restricted homeowners’ association community is conveniently located of FM 515 in the central area of the lake. A few features are 2500 SF minimums, community boat launch, and concrete streets. Conveniently located in the central area of the lake with quick access to major roads and areas of the Lake Fork. Water front community, with restrictions, where even the interior lots have a pier lot associated with it for water access. Across the road from The Links at Land’s End golf course community with restaurant.